Preheat oven to 180°C (350°F). Place the garlic on a sheet of aluminium foil, drizzle with the oil and wrap to enclose. Roast for 30 minutes or until golden and soft. Allow to cool and squeeze the cloves from their skin into a food processor. Add the broccoli, watercress, almonds, lemon rind and juice, parmesan and extra oil and process to a coarse paste. 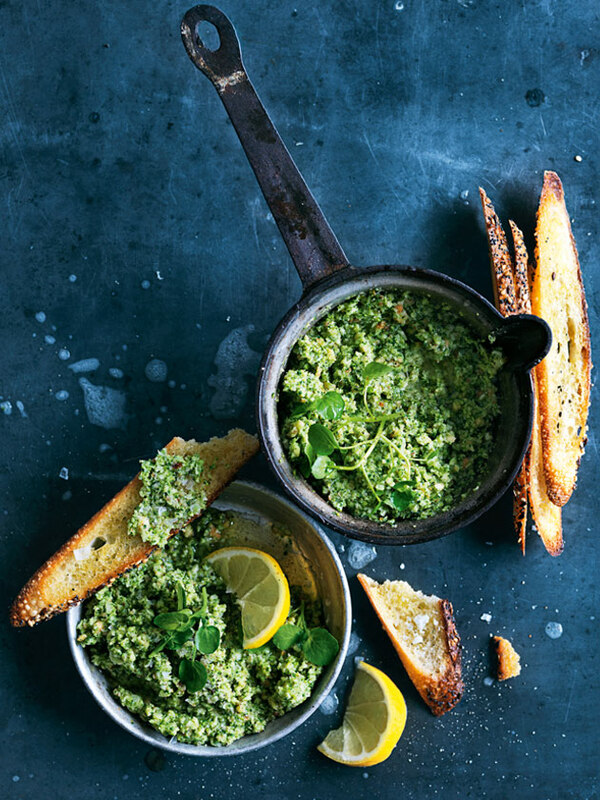 Serve with bread, lemon wedges and extra watercress. Makes 3 cups.